NEW FESTIVAL INSPIRED MAKEUP PRODUCTS | ARE YOU #FESTIVALREADY? It is officially festival season and makeup companies are embracing it full force, with Kylie Jenner dropping her Coachella inspired Matte Metals - post here - other brands are now following suit with their very own festival ready picks. First up is the new mascara from L’Oréal. 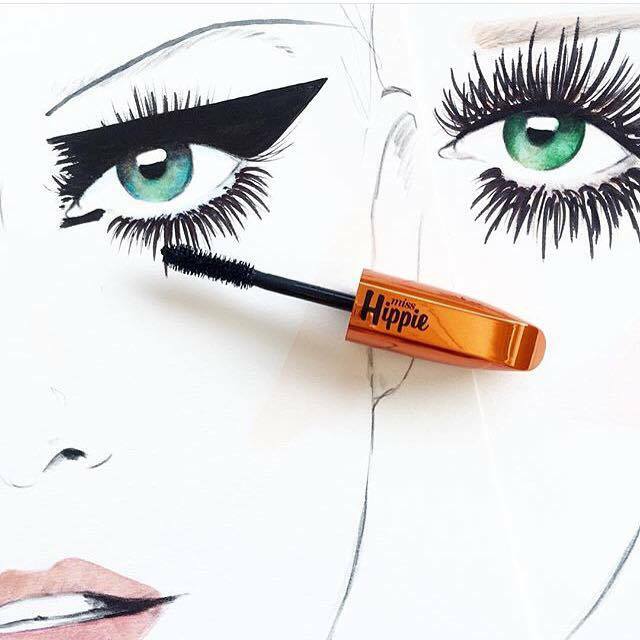 Miss Hippie Mascara claims to give you feathery lashes with tonnes of volume. It has a bushy wand which will help you layer and layer the mascara for a full, lengthy effect. I feel like this mascara will revive the 70s lash look, we want extra-long, curly lashes that still don't look overdone. The packaging is almost identical to their firm favourite Miss Manga mascara except the lid is orange in colour as opposed to pink. 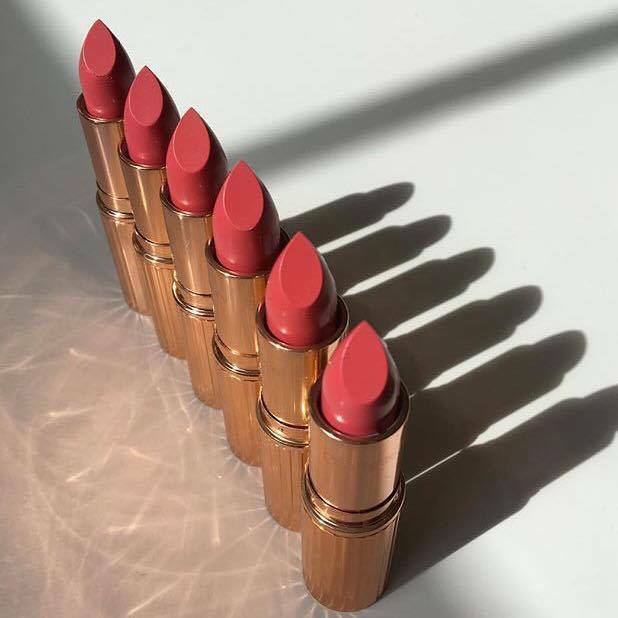 The next product to inspire this post is the new lipstick announced by Charlotte Tilbury, who has announced several upcoming products - post here - the Coachella Coral (£23)looks like the go-to lipstick for all fair-skinned festival addicts. 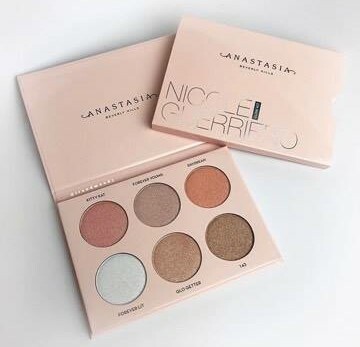 I think the shade could be flattering on everyone, but I know instantly this will suit anyone from light to tan skin as it is such a bright, but warm, coral hue. I'm not actually much of a festival person, but I do love festival makeup, not on myself per se, it's just so fun and creative. Similar to face painting almost in my opinion, it's care-free and easy because it's makeup that you know you're going to sweat in and probably wear for two days straight. The ultimate festival style icon for me is Vanessa Hudgens, she is gorgeous and her style is classic boho chic, 70s, comfortable, summery and so so pretty. Everything from her hair to her bindis scream Coachella to me. As the weather has been a little crap lately, I thought I would inject some VH into your lives to remind you summer is around the corner so you can get ready to break out your summer attire, and for those of you heading to a festival or camping here are some Vanessa approved tips to keep you looking fresh and beautiful. 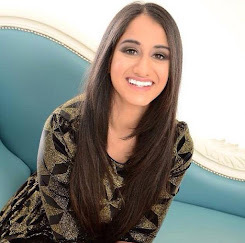 MAKEUP AND CLOTHES: Anything goes, you want to go bright and bold and playful, you can, if you prefer to go for more neutral tones then they can look just as pretty. The most important thing to remember is to pack sunscreen with a high SPF and keep yourself hydrated. For clothes, most favour light materials as it tends to get quite hot, but just as it can get hot it can also get chilly so ensure you pack for a variety of weather: a cardigan, a jacket, something with a hood to shield you from downpours. HAIR: Make sure you have the option of keeping your hair out of your face, this is the perfect opportunity to master the art of braiding; crown braids look really pretty. If you struggle with that buy a hairband or a flower crown that will help you keep your hair out of your eyes. JEWELLERY: If you're in a tiny tent for a few days away from home, you want the most comfortable clothes you can find. So let your jewellery do the talking and keep your clothes relatively simple: playsuits, dresses, denim shorts, casual tees. THE BRIGHTER THE BETTER: Anything goes, and if you didn't wear five bright colours at once, were you really at a festival? Summer is where everyone cracks out the fun, neon shades so incorporating some vibrant hues into either your makeup or fashion palate is always a good idea. If you shy away from bright colours you can always introduce them subtly by adding coloured liner or mascara on the eyes, rocking a bold lip or some colourful bangles. Fashion and beauty are completely personal, so whatever you decide to wear as long as you're comfortable, who cares? 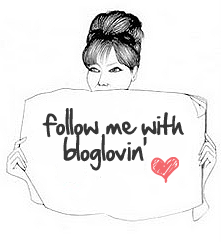 Thank you so much for reading, I hope you enjoyed this fun little post. I wanted to write something light-hearted as I have some deeper topics playing on my mind that I will be getting around to writing about in the coming week. I have been reading as many blogs as I possibly can because I just love reading what other bloggers are putting out there. There is some seriously good content being created daily; it is a job in itself trying to keep up with them. A lot of what I have read has really resonated with me and made me think long and hard about the future of my blog and blogging itself. Putting that aside for a minute, don't forget to leave me a comment down below and follow. Take care. I definitely want to give that Miss Hippie mascara a go, sounds awesome! This is making me sad I'm not going to any festivals this year!! You'll have to just host your own haha! Thank you for your comment. I don't actually have anyone I look to for style, mainly because I just stick to basics, but I am so gutted I am not at coachella! It looks incredible! I know, it looks stunning! It does, doesn't it? I am very keen to try it too. I'm not that into the festival look like on me, it just doesn't suit, but Vanessa Hudgens nails it! Definitely eyeing up that Charlotte Tilbury lipstick, the colour is gorgeous! I have yet to see Miss Hippie mascara here in Canada! I love Miss Manga, the original one but I do need to let it dry a little first so I look forward to trying Miss Hippie...the name makes me laugh though.